A nationwide roofing contractor, with a history of safety violations, faces a new six-figure fine for allegedly exposing workers to falls and other hazards. The Occupational Safety and Health Administration has cited Jasper Contractors, of Baton Rouge, LA, for two alleged violations, both willful, at a residential jobsite in Jacksonville, FL, the agency announced Tuesday (July 28). The case marks the third in less than a year against Jasper Contractors, according to federal authorities. 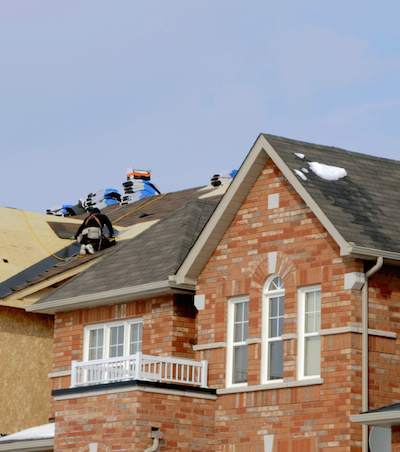 Jasper Contractors were observed working atop roofs at heights of up to 13 feet without adequate fall protection. The image does not represent the scene in this case. In March, the company was hit with $186,200 in proposed fines for seven violations, including the alleged lack of fall protection. In September 2014, the agency fined the company $162,000, for six safety violations, alleging similar fall hazards. In that case, workers had been wearing harnesses, and the roof was equipped with ropes and anchors, but no one bothered to connect the two, OSHA officials said. The company has contested OSHA’s findings and will be mediating these and other contested citations before an Administrative Law Judge of the Occupational Safety and Health Review Commission, the agency reported. Since 2007, Jasper has been inspected 15 times, resulting in 37 citations, OSHA said. Those citations were issued for willful, serious and repeat violations for a lack of fall, eye and face protection and ladder safety. 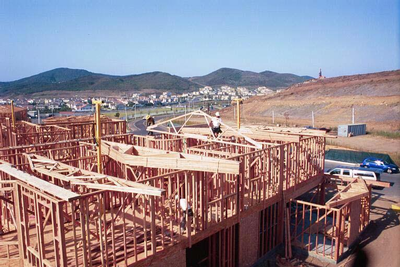 Falls are the leading cause of death for workers in residential construction. OSHA offers guidance on fall protection on its website. “Jasper’s management officials have been trained and know OSHA’s standards for protecting workers while performing roofing activities, but we continue to find this employer ignoring safety regulations and putting its employees at risk of death,” said Brian Sturtecky, OSHA’s area director in Jacksonville. The company did not respond to a request for comment Friday. The latest case stems from a March 4 inspection, initiated after the agency received two complaints concerning employees working on a residential roof without safety protection. OSHA issued the company two willful violations, each with $70,000 in proposed fines, for allegedly failing to ensure employees were wearing eye protection while using pneumatic nail guns and for exposing workers to falls from heights of up to 13 feet by allowing them to work without fall protection while performing re-roofing activities, the citation document said. A willful violation is OSHA’s highest and most expensive level of safety infraction. Founded in 2004, Jasper Contractors specializes in residential, commercial and metal roofing with 74 employees nationwide.